Sidhu had shown sparks of her genius in the last event when she managed to win a bronze medal from under the throes of elimination. It was the same again today as she had to claw her way back from a dangerous position but ended up dominating the field in the 25m Pistol round to score 38 - a new Commonwealth Games Record. 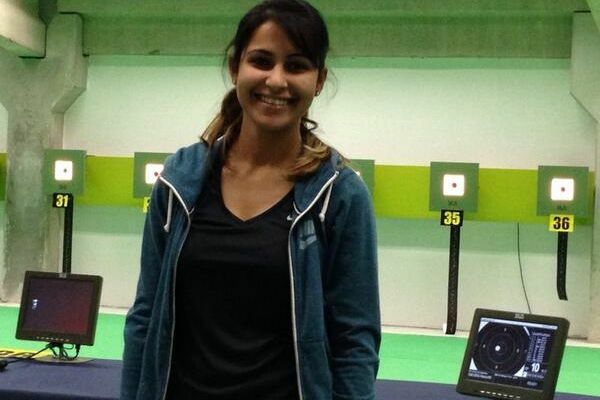 It was Annu Singh who had topped the qualification stage, with a score of 293-7x, whereas Sidhu ended up in the seventh position with a score of 286. However, the former World No.1 upped her tempo where it mattered the most. She never failed to hit the target less than 3 times, out of five, and kept it consistent right till the end. The inexperienced Annu Singh let her nerves get the better of her as she bowed out in the third elimination stage after Australia’s Lalita Yauhleuskaya and Bibiana Pei Chin NG went out initially. She ended with a score of 15 when Sidhu and eventual runner-up Elena Galiabovitch were riding on a joint score of 23. Sidhu had entered the elimination stage trailing Galiabovitch by three points. However, it was in the third, fourth and fifth round that made all the difference, where Sidhu garnered a whopping 13 points to Galiabovitch’s 10. Sidhu went on to take 11 points in the next three rounds, compared to Galiabovitch’s 10. Malaysia’s Alia Sazana Azahari finished third to clinch the bronze medal as she finished with 26 after Galiabovitch (35) and Sidhu (38). With that gold, India’s gold tally goes to 11 while the total sums up to 20 as they trail Australia (109) and England (69).